Be careful how much you depersonalize your home when preparing to sell your home. You could be sending the wrong message. Getting a home ready to be seen by the masses is no easy task. It’s important everything look good and is working properly. I think most would agree; a clean, well-decorated home will sell for more money in less time. But is there more to it than that? Maybe so. Homeowners preparing to sell often ask me what they can do to enhance or improve their property. Most times they are already aware of the many tasks they need to perform to present their home at a higher level. The question is often posed to obtain reassurance that they are on the right path and pick up a few tips along the way. In past years it was the standard operating procedure to remove family photos and other personal items to depersonalize a home. The thought is home buyers would feel more comfortable and be better able to picture themselves living there if the owner's things were not present. In most cases, the homeowner's depersonalization effort meets the approval of their real estate professional. One of the strongest segments of buyers in the market for homes today are the millennials. These customers come from the largest generation of suburban homeowners in modern history, their parents. For this reason, I believe the depersonalization factor has changed a bit. These millennial buyers are starting out with families of their own looking for homes that they like and make them feel good. They often remember their parents home and desire the peace and tranquility of that were present in their parents home as they were growing up. Many of my buyer clients walk into a home, and their mind and senses immediately go to work, especially if they like the property. If they don't see family photos or personal items, otherwise known as knick-knacks, they ask if the reason for the sale is a divorce or other adverse circumstance. They may even start looking for evidence that there is some egregious factor that led to the home being put up for sale. I think this happens for two main reasons. Firstly, the buyer may believe that if the seller's situation is unfavorable, they will get a better deal. The second is what I call the karma factor. While most buyers like to get a great deal on a home, they also enjoy when a home has a good feel. Good feelings come from a home that is warm and inviting. The home might have some family pictures showing the owners, their family, and friends during some of the happiest times of their life. A home can have a special feeling that has nothing to do with the decor. This is the karma factor that is evident when the home tells a good story. Conversely, the creepy factor is not a great selling point. My advice as it relates to the depersonalization factor is simple. Do not go out of your way taking down and boxing up all the love, warmth, and karma that is a valuable part of the home. But be cautious. 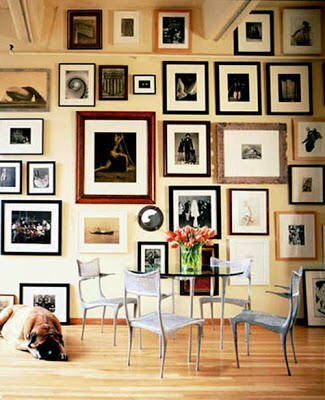 You do not want your home to become the “picture home.” Sometimes it is what you don’t do that adds value.